The subject of wine is subjective, same as abstract art. Statistics about sports are verifiable. Their import is the cause of many differing opinions. When you hear from a “wine expert” it is usually some sententious statement and the implication is that if you dare disagree you are plainly a fatuous oaf. Thanks for commenting. Wine preferences are surely subjective. But there is much about wine that is not subjective. As a winemaker you know there are all sorts of actions you take in the vineyard and winery that have demonstrable effects on the finished product. You and/or someone very familiar with your wines would be in a much better position to evaluate whether a particular approach advances your aesthetic aim than a novice with no experience. If wine expertise were not real success on exams such as those for the Master of Wine would be random, which they quite clearly are not. The same is true of abstract art. Whether you like a work or not has to do with your personal reaction to it. But discussions of influences, impact, level of innovation, etc. while arguable are not arbitrary matters of preference. There are facts that must be marshalled to support a point of view. Baseball is a bit different in that there is an objective measure for who wins a game or succeeds in getting a hit. But discussions of which hitter in the 1970’s was best are no less speculative and a matter of opinion than discussions of wine quality. Yet most people don’t consider such discussions pretentious. 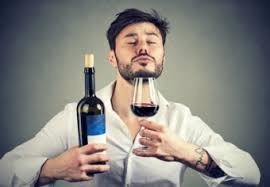 While there are no doubt people who call themselves wine experts who are pompous and sententious (just as in any other field), frankly I find most experts modest and quite aware of the difficulties and pitfalls of winetasting. And most find disagreement to be part of the landscape, not an occasion for insults.